As announced last week, Lion Fight Promotions will bring kickboxing to national TV this coming January on AXS TV. This week, they announce their first female match to be broadcast. LFP mainstay Tiffany Van Soest will take on England’s Alexis Rufus on the promotion’s first televised card Jan. 25 at the Hard Rock Casino in Las Vegas. They announcement was made this week on Inside MMA. Van Soest is the current WBC kickboxing champion, having defeated Jeri Seitz this past October for the belt. She is 4-0 as a pro. Rufus holds several world titles and is coming off a unanimous decision victory over Kate Stables this past Saturday at Smash Muay Thai 2. Two pro bouts and several amateur boxing bouts will be going down Friday night in Vancouver, Canada. The main event will feature Sarah Pucek taking on Lucia Larcinese for the vacant Canadian featherweight title. Also on the pro side of the card, Jaime Ward will face Alisah McPhee. On the amateur undercard Jullian Kim and Darren Featherstone battle for the Vancouver Heavyweight title, Darcie Nestor faces Jillian Sask, and Kyla McKenzie takes on Kate Robinson. Several other ammy bouts will be announced Thursday. Two big Muay Thai events happened this past weekend as we start to wrap up 2012 in the sport. In a clash of Muay Thai champs, The UK’s Amanda Kelly defeats fellow Brit Julie Kitchen via split decision at the Muay Thai in America card in Playa Vista, CA. Kelly was aggressive in the first two rounds of action, but Kitchen started to gain some ground in the last three rounds. It wasn’t enough as Kelly gets the upset victory. Kelly improves to 31-1-1, while Kitchen lost her second straight fight to a top ranked Muay Thai fighter. Meanwhile, Europe’s Enfusion Muay Thai reality show concluded it’s season with the conclusion on their 132 pound women’s tournament in Slovenia. Throughout the season, the female fighters were the team captains to their male counterparts. Four fighters make it to the semi-finals as American Lindsay Scheer took on Denise Keilholtz (Holland); while Chajmaa Bellakhal (Morocco) took on Lucy Payne (England). Payne and Keilholtz would both get unanimous decision wins advancing to the finals. In what was an action packed match, Keilholtz would get the majority decision win to be crowned tournament champion. Getting any sort of kickboxing on U.S. TV is a feat in itself. Now, Lion Fight Promotions have inked a deal that will see Muay Thai, male and female, get national exposure. The promotion announced Thursday that it will start to broadcast their cards live on AXSTV starting Jan. 25. Lion Fight has always had female Muay Thai fights on their cards, with stars such as Tiffany Van Soest, Elena Maxwell, Roxy Richardson, and Vivian Leung. The TV deal could also draw some popular female fighters to the promotion. No word on who will be competing on the Jan. 25 card. The Netherlands Jemyma Betrian gets to bring some gold home with her. 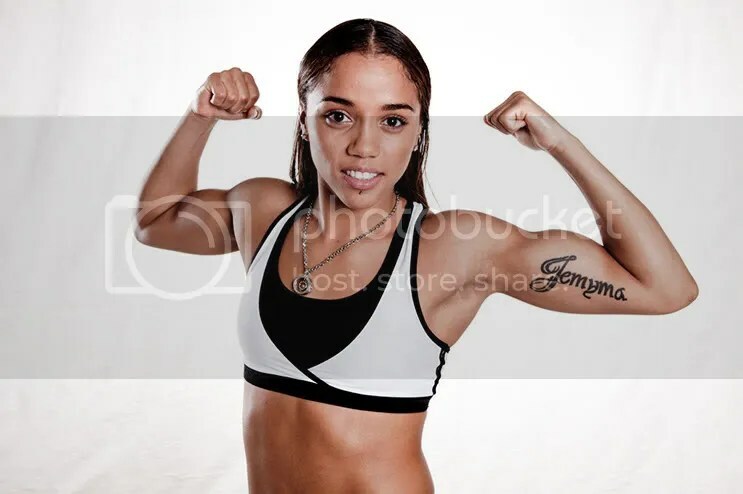 Jemyma Betrian defeated Australia’s Tiana Caverley by unanimous decision this past weekend at the WCK event at the Plaza Hotel in Las Vegas. The 21 year old improves to 14-2 and climbs to the top of the kickboxing rankings. In an upset, Chinese fighter Xifeng Tang got a unanimous decision win over Ukraine’s Lena Ovchynnikova by unanimous decision. This was Tang’s debut in America.